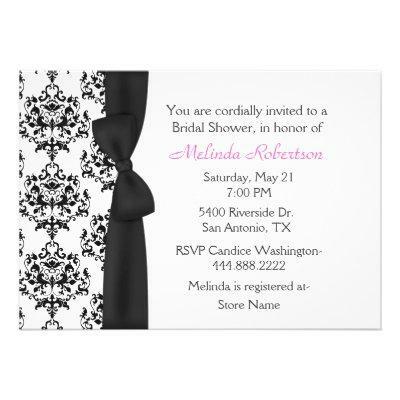 Elegant bridal shower invitation done in white, with a formal black and white damask pattern and a black ribbon and bow, decorating the left side of the invitation. Text is ready to personalize, to suit your shower event needs. Pretty invitation the bride will cherish.